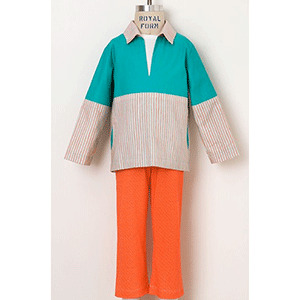 This pattern is available in sizes 6M to 4. 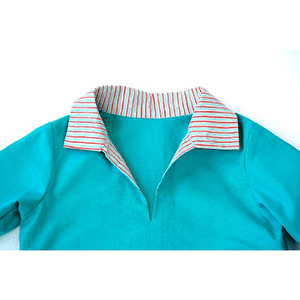 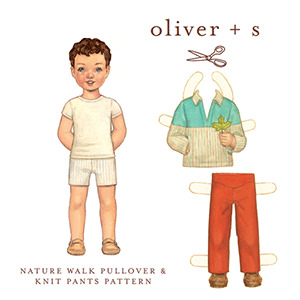 Suggested fabrics for the pullover are lightweight wovens, interlock, chambray, seersucker, linen, fleece, and microfleece. 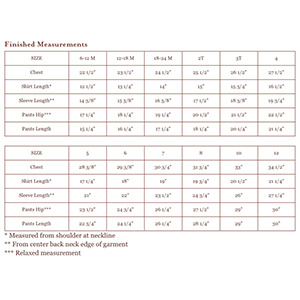 Suggested fabrics for the pants are interlock, cotton jersey, french terry, and lightweight double knits with at least 25% stretch.